The W-207 is a wing quad tyre from BKT. The W-207 tyre is available in a wide range of sizes including 22/7.00X10 with a 6 ply rating. The load/speed index for this W-207 22/7.00X10 tyre is 33J which means it can carry a maximum load of 115kg while travelling at a speed of 100km/h. This tyre has an "E" marking making it legal for use on public roads. 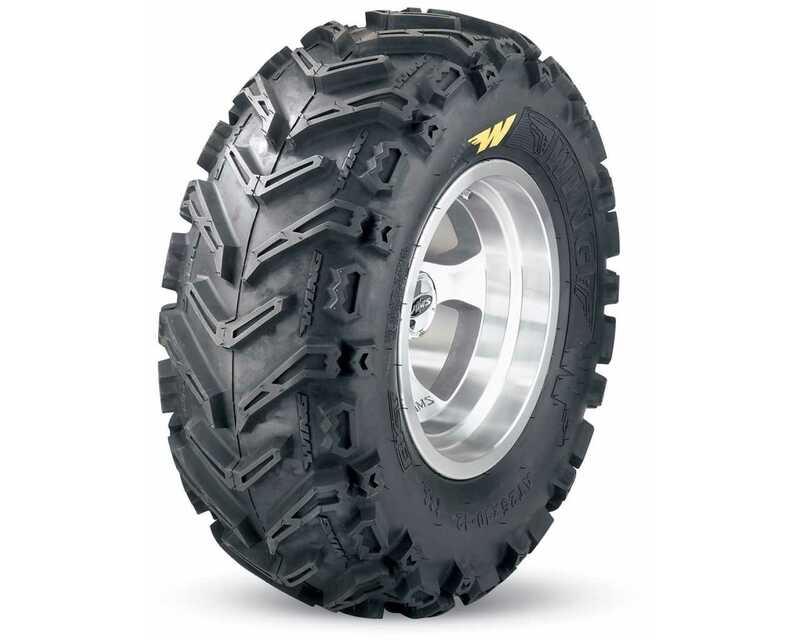 The W-207 from BKT is built with a 6-ply rating and a reinforced casing, making it one of the most puncture-resistance ATV tyres in the market today. The aggressive large shoulder knobs wrap down the sidewall to provide excellent side-bite to pull you out of ruts without creating sidewall failures. The deep tread and open-wing design of the W-207 provides excellent clean-out with each lug featuring dimpled tread elements that offer the ultimate in traction in any condition. Special natural compound delivers added traction needed without reducing tread life. Key sizes of the W-207 tyre range are "E" marked and thus legal for use on public roads. 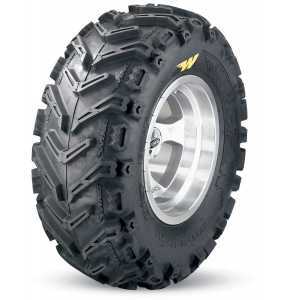 The W-207 tyre is definitely the farmers' favourite.